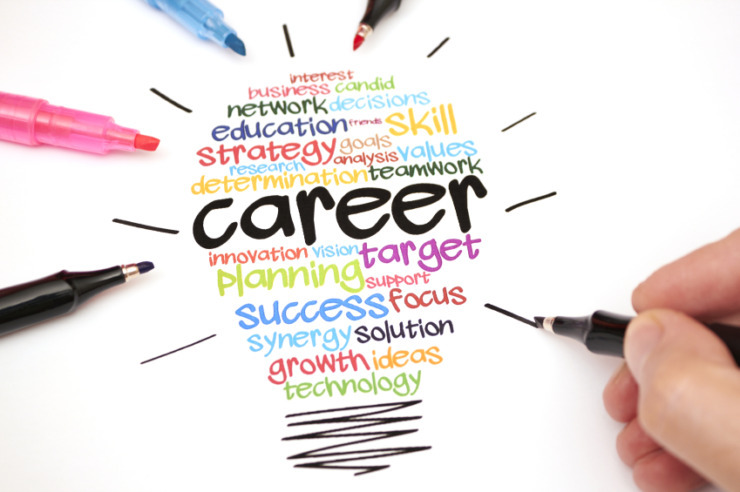 Today’s job seeker is savvier and more informed than ever. In this age of transparency, anyone with an internet connection has access to employee reviews that deliver insider perspectives on a company’s culture, compensation, advancement opportunities, management and more. But employee insights aren’t just relevant for professionals evaluating their next career moves. The leaders of top companies can also look at employee reviews to gauge the effectiveness of their own practices, learn how they compare to their competitors, and get tips on how to improve the employee experience. No matter how big a company is, they can’t ignore this new reality. So who is winning the battle for the hearts and minds of their employees? To identify the best companies to work for in the U.S. we tapped into our database of 15 million employee reviews and analyzed those from companies also featured on this year’s Fortune 500 list — the 63rd in the history of the ranking. Our data science team crunched the numbers. Let’s take a look at the answers. The Fortune 500 is a ranking of the top U.S. companies according to their total revenue in a particular year. These businesses have huge influence in the market and on our culture, but the fact remains that they are also engaged in a battle for talent, and are constantly competing to attract the candidates of the highest quality. So who came out top this year? For the second year running, the number one ranked company is the cloud computing leader Salesforce. After Salesforce, we see Southwest Airlines and JetBlue Airways Corporation taking the second and third spots. However, while these two aviation companies are flying high in the eyes of their employees, we also see strong performances from tech giants Facebook (#4), Google (#5) and Apple (#8). But the top 10 is not dominated solely by tech and aviation: we also see two energy firms (CenterPoint, #6) and DTE (#7), as well as sporting goods giant Nike (tied for 8th place with Apple) and entertainment behemoth The Walt Disney Company (#10). While several of these companies also made last year’s top 10, there are a couple of newcomers that have made impressive jumps to the top of the list. For instance, JetBlue was ranked #21 in the 2016 listings and moved into the #3 spot while CenterPoint Energy surged from #37 in 2016 to #6 this year. With such a diverse array of industries represented at the top of the list, it’s interesting to ask what, if anything, they have in common (besides high revenues, of course). What does a movie studio and operator of theme parks share with, say, an energy firm? In fact, a recurring theme across the employee reviews for these firms is the importance of a strong company culture and clear values. Keep reading for a more in-depth look at what employees love about the best companies to work for in 2017. Salesforce, the cloud computing pioneer and enterprise software giant is well-known for its culture of “Ohana” (which means family) and its spirit of philanthropy. The firm even has a “Chief Love Officer” — CEO Marc Benioff’s Golden Retriever, Koa. In reviews, employees praise the company’s great perks and benefits, but they also appreciate Salesforce’s fast-paced culture that rewards self-starters and manages to retain its start-up vibe. 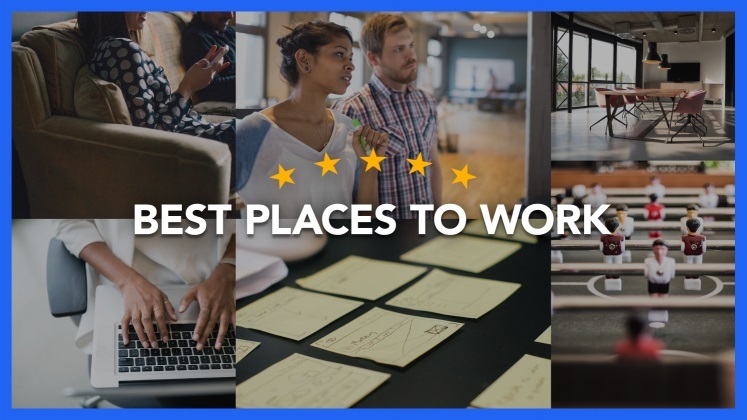 In fact, not only is Salesforce the clear leader on our list for the second year running, but the company almost achieved a clean sweep in Indeed’s ranking of individual measures, securing the #1 spot for compensation, culture, management ratings and work-life balance. Now in its 46th year of service, Southwest Airlines flies to 101 destinations in the U.S. and eight other countries besides, serving over 100 million customers each year. Despite its huge scale, however, it continues to focus on keeping its employees satisfied. In individual ratings, Southwest secured the top spot for job security and came up second in management ratings. As a bonus, the company is well-reviewed for healthcare and offers company-wide flight benefits. Another low-cost airline, JetBlue Airways aims to “bring humanity back to air travel” through its in-flight amenities. In addition to placing third overall, JetBlue ranks high for company culture: “heartwarming; truly a melting pot,” says one employee. Employees describe an environment in which workers at all levels can have a meaningful impact on the direction of the company. Facebook needs little introduction. From its small-scale origins in a Harvard dormitory, it has grown to dominate the world’s social media scene with nearly 2 billion users and counting. While Facebook makes the Fortune 500 list, founder Mark Zuckerberg is himself a constant on lists of the world’s richest people — and is currently worth $62.8 billion, according to Forbes. That success hasn’t caused the company to forget the importance of keeping their employees satisfied, however. Facebook ranks high for culture and work-life balance, with employees praising the exceptional campus and abundance of opportunities for social activities. Known throughout the world for its search engine, Google is a global technology company that aims to “organize the world’s information and make it universally accessible and useful” through innovative products and services. Today, the firm is branching out into many fields, from biotech to self-driving cars. “There might be thousands of people working at Google; however, you have a voice and you will be heard,” says one employee. “They do their best to ensure that their employees at all levels, from CEO to interns, have the best experience while working with them. They care about our work-life balance.